The Top Menu gives you the links, and access to various features & functions as shown on the image below. 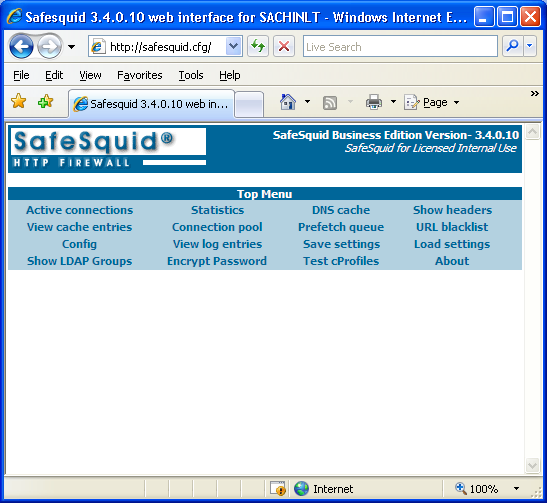 This image displays the main page of Browser based SafeSquid® Management Interface available with SafeSquid®. Each link and their functions are explained in detail in this document.